Last December I shared on Instagram some black and white photos of Kuala Lumpur taken around some of the more popular tourist spots in the city. The photos follow an easy walking trail from Dataran Merdeka all the way to Islamic Arts Museum Malaysia. One can easily cover the route in just one morning or afternoon. If you're a non-Muslim however, and would like to visit Masjid Negara (National Mosque) (which I highly recommend, by the way), you need to make sure that you're not there during prayer times as only Muslims are allowed in during those times. This water fountain at Dataran Merdeka in Kuala Lumpur was erected in 1897 to commemorate Queen Victoria's Diamond Jubilee. In the background is Sultan Abdul Samad Building. Designed by the same guy who came up with Sultan Abdul Samad Building, this museum is located just across the road from the former. Despite its location, not many actually notice this museum, which is very unfortunate. Dayabumi Complex. This is one of the first #skyscrapers in Kuala Lumpur; and before the completion of Petronas Twin Towers, this was the HQ for the giant oil company. Mughal-style dome at one end of KTMB (Federated Malay States Railways) HQ Building (completed early 20th Century) in Kuala Lumpur. Just across the road from this building is the no-less beautiful Kuala Lumpur (old) Railway Station. The inside of the main "dome" at Masjid Negara, the national mosque of Malaysia. The unusual dome - based on an opened umbrella - had been designed to incorporate a Malaysian identity (as opposed to a foreign one), befitting its status as a national mosque. The calligraphy in the black spot is that of verses from the Quran. Still at Masjid Negara, the national mosque of Malaysia. If you're into architecture and/or design, you'd love the many geometric designs that can be found here. A Persian-inspired dome atop Islamic Arts Museum Malaysia. The museum boasts the biggest collection of Islamic arts in South East Asia. 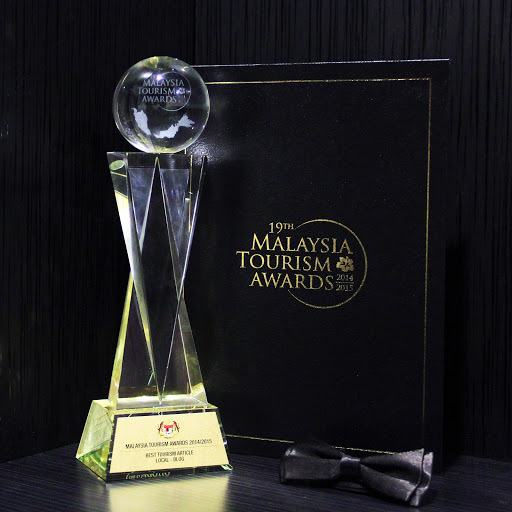 It is easily one of the best museums in Malaysia. From the museum, one can choose to further explore the area and visit other interesting places like Bird Park, Butterfly Park and Orchid Park, among others. The above photos are just some of the photos of Kuala Lumpur that had been shared recently. If you'd like to see more, check out and follow Ramble and Wander's Instagram account. Everytime I've seen photos of Malaysia they've always looked so colorful but this presents an entirely different side of the city - things almost look delicate and dainty when you can really study the architectural details. Beautiful work! Wow gorgeous black and white photos! You have a good eye for artistic shots! Wow, beautiful photography! I agree with Vanessa, all the photos I've seen are so colorful. Nice to get such an artistic perspective. I especially like the one of the dome. Thank you, John. If you like the intricate design on the dome, you're in for a treat if you're ever in KL. Masjid Wilayah (KL Mosque) and Putra Mosque in Putrajaya instantly come to mind to be very intricate and elaborate in their design. I think black and white photography is interesting because it allows the viewer to focus on the content, while producing a certain mood. Beautiful series! Wow, you have a great eye for photography! I love those pictures. And great tip mentioning the prayer times. Definitely something to keep in mind as a tourist! Thank you, Francesca. :) The prayer times don't really take that long actually (and it affects non-Muslim visitors just twice in the afternoon) but it's good to be aware of them and maybe to schedule a visit in the morning instead, or at around 3 in the afternoon. 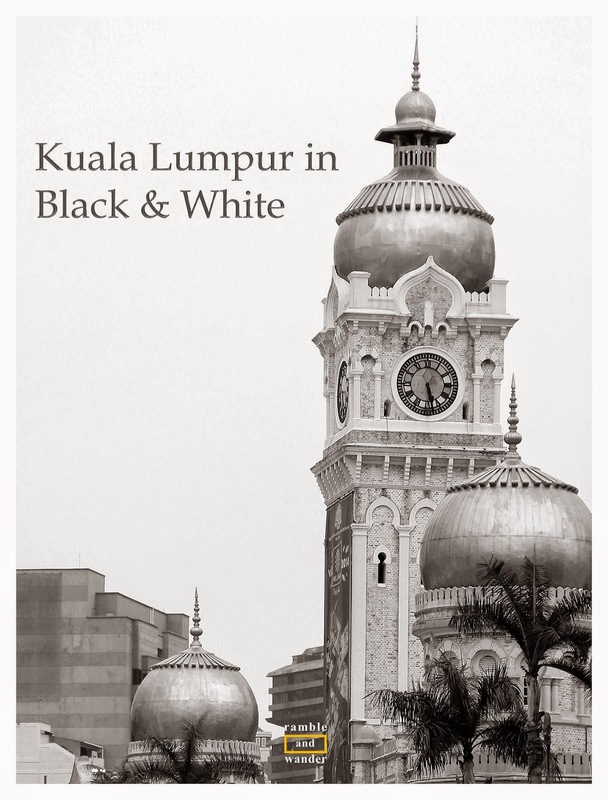 Love these black and white photos of Malaysia. It really forces you to look at its architectural details and so appreciate the tips on visiting this country - thanks. The inside of the dome is my favorite. Almost like a flower. Some really nice shots! All the best with the move! I've heard it can be quite tricky at times (the move, not the new platform).